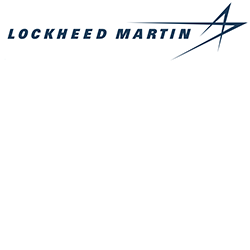 Lockheed Martin is a global security and aerospace company that employs approximately 97,000 people worldwide and is principally engaged in the research, design, development, manufacture, integration and sustainment of advanced technology systems, products and services. Lockheed Martin is a global leader delivering full spectrum cyber capabilities -- supporting the offensive and defensive efforts of our defense and intelligence community customers. Cyber is ingrained all aspects of the modern battlespace, and our Cyber Solutions team has the expertise to help defend and exploit enterprise IT networks, radiofrequency spectrums, and military platforms on land, sea and air. Our Mission: We solve complex challenges, advance scientific discovery and deliver innovative solutions to help our customers keep people safe. Our Vision: Be the global leader in supporting our customers’ missions, strengthening security and advancing scientific discovery.